This proposal is an entry for Challenge #4 of the Civic Innovation Fellowship. It invites anyone with a passion for urbanism to propose solutions to the issues and challenges in Marikina City. Being a Marikeña and an urban planner, this call really piqued my interest because I’ve had ideas to bring placemaking into my city for the longest time. Let me share the proposal with you. Marikina City is my home. Our city leaders have once created astounding efforts to champion pedestrians and bikers, and to widen pavements (a first in Metro Manila). They put public benches and monuments of Filipino workers all over the city. They taught the discipline to stop littering, so we could have a clean environment. They built the theatre, the library, and the sports complex. It was a beautiful start, which put Marikina in the forefront of competitive and liveable cities. Today, we have cut down so many trees to give way to malls. Pseudo-public spaces. Entrepreneurs are thriving, and have put up foodies’ havens faster than mushrooms could sprout. Streets, once widened, now have cars parked on both sides. Urbanization first crept into the city, and is now rapidly showing its consequences. The Main Issues: So What’s Wrong? Despite Marikina’s accomplishments, and despite progress, I live in an enclosed subdivision. Gated, walled, one that is exactly what urbanists tell us not to patronize. The streets I walk may have eyes and watchers, but they are bland. And they still give way to cars. Walking the street is a chore, not an experience. While we have been blessed with public spaces, we struggle to find meaning in them. Sure, we use the facilities of the sports center, and the bench nearest to where jeepneys stop. These are where people are designed to come together. But what about the corners of our intersections? The pavements leading to our neighbourhoods? What about the streets upon which we cross? They are now simply functional, and they have been left to that. We don’t value the space, and we don’t appreciate it. We leave its utility to our city government, and to private groups that hold events. This has led to unintended but damaging effects. Particularly inequality. Cars dominate the streets instead of letting citizens commune. Streets are even avoided to lessen life’s risk from high speed driving. The walls of walkways create unspoken distances and cold exchanges instead of fostering neighbourly relationships. (Here’s an article I wrote on the topic about a year ago: The Life Outside Gated Communities) Some parks are left ugly instead of inviting, violating the common good of the public realm. All of these go back to the basic principle of a place: A space without people and meaning is not a place at all. Tackling the issues of urbanism have been viewed by the Philippines through a top-down, government-driven, technical-oriented lens, leaving out the participation of communities, and the very people who use the public spaces and streets. This poses a gap in inclusive and participatory urbanism. Citizens, you, me—in principle, we all have shared ownership of public spaces. We have the entitlement to use them, to celebrate them, and to create them in such a way that they will have meaning. This is where placemaking comes in. Placemaking transforms public spaces into vital spaces for living. This could be done through a variety of projects: Establishing art and culture, revitalizing unused or drab streets, placing interest in parks and plazas, and creating community gardens. It brings the creative people, the visionaries, the youth, the families, and the community together. Leading a placemaking project is not an isolated undertaking; it involves everyone. It brings the issue to the people’s attention, because it touches their everyday cityscape, and their everyday lives. Placemaking activities have been successful in major cities in the world, providing communities ownership of their public spaces. It’s about time that the Philippines, through Marikina City, initiate the project. The Project for Public Spaces framework tells us that while placemaking can take many forms, it is also a a continuing project of the community. This is true, and it takes passion from citizens to make a city their own. 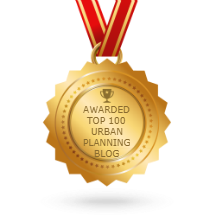 So what steps can I propose to begin the placemaking in my home city? A gathering of placemakers. A city will have more than enough artists, shoemakers (a shoutout for our city’s identity! ), designers, poets, musicians, graffiti painters, architects, visionaries, and volunteers. Bring them together on Day 1. Ignite them with the issue, and ask what they want their streets and public spaces to be like, and how they would envision them to feel like. Provide the orientation of placemaking principles. Show them how street art, or new benches, or canopies of trees can make a difference in bringing meaning to space. Show them how other cities of the world have created transformation. Selection of streets and spaces. Ask your placemakers, barangays, and constituents which spaces have the worst reputations in the city. Are these streets where pedestrians are hit by cars? Alleyways where women are harassed, or where hold-ups are frequent? Are these long, winding streets that make an old person feel tired and uninspired? The riverbanks that are almost always flooded? Or a plaza that has a simple statue, boring, and just that? Create the baseline of spaces which we want to transform. Locate them on the map. These are what we will work on during Day 2. The walking tours. With a little help from our city government, in terms of blocking off the car traffic, we go on foot. For Days 3-5, our placemaking group will walk the shortlisted spaces and streets up and down, left and right. If you had to pass by these spaces everyday, what elements would you bring in to revitalize them? Would a monument provide identity and recall? Would increasing open space and encouraging foot traffic improve mobility? Would a rainbow-painted pedestrian lane slow down traffic and create a statement for the LGBT community at the same time? Would little market stalls or canvasses be of interest? Would an array of beautiful flowers renew the interest of families to use a park? We jot down our observations and take note of comments from passersby and residents. The community hackathon. Now that we know where we’re working, and what we’re going to work on, how are we going to realize placemaking? We bring it all together on Days 6-7: Our creative minds, what we saw that’s wrong, and what our collaborative solutions are. What is our vision for these spaces? Will we need paint? Or seedlings? Or signposts? Create visuals and perspectives of what ideas and interventions we will bring to the spaces and the streets. Open the conversation to finding sponsors to supply our materials. Open the floor for every suggestion and every experiment. Design the spaces together, and create the place as a community. If the group is big enough, divide them into teams and assign them to different spaces. The placemaking project. For the entire second week, we go back to our selected streets and spaces, block them off for a week, and take on the issue of better public spaces into our own hands. Street art, gardening, a library with chairs and tables on a corner of a walkway—we see to it that our hackathon solutions are brought to life. We involve the residents to help out. This way, if they want to improve the new elements of their streets, they would have been part of the project, and will take part in keeping for and valuing their streets and spaces. We repeat from Step 1, and continue the placemaking cycle over time, over place, and across the placemakers who create their own communities. So there we have it. I’m praying hard that these little thoughts of mine will be able to make a difference in Marikina (and eventually, Metro Manila). wow! this is a great proposal! hope it gets attention! keep on! Philippine cities can take inspiration from this. Great article. Many public spaces fail because the powers-that-be didn’t ask the community how they would use the space. 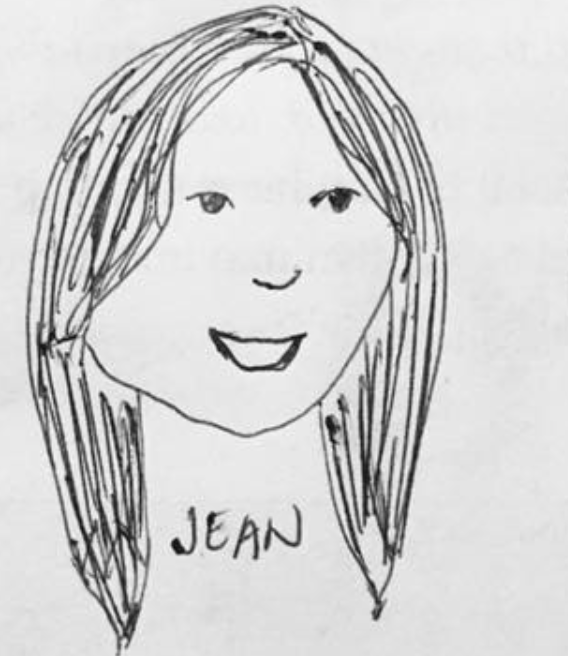 This is a great proposal, Jean! I hope we can push this not only in Marikina, but in other LGUs as well. There is really a need to bridge the gap between and among political, technical, and social aspects of urban planning.